i enjoyed it so much i decided to have a go at it myself. 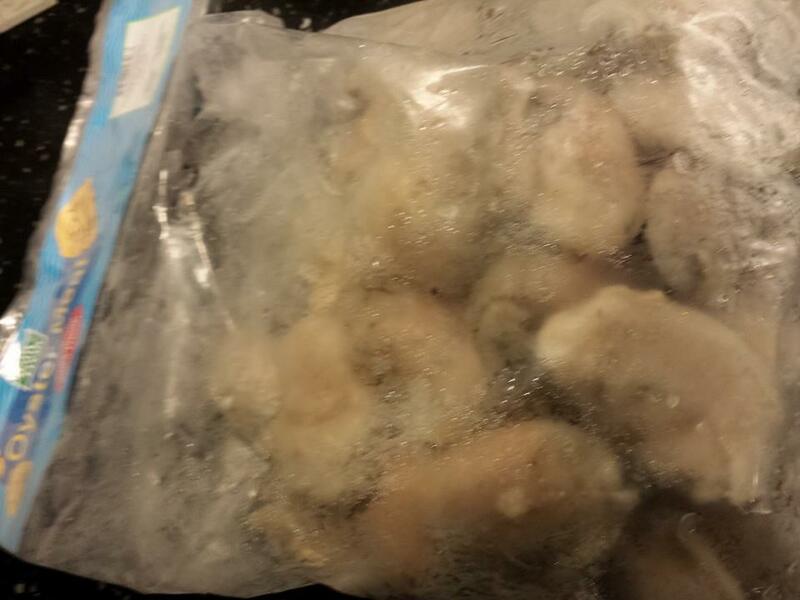 i bought a 1kg packet of huge frozen oysters from sheng shiong for S$11.50. these were IQF=individual quick freeze, so very easy to just take out a few & put the remaining in freezer w/o defrosting them. i took out 12 plump oysters. 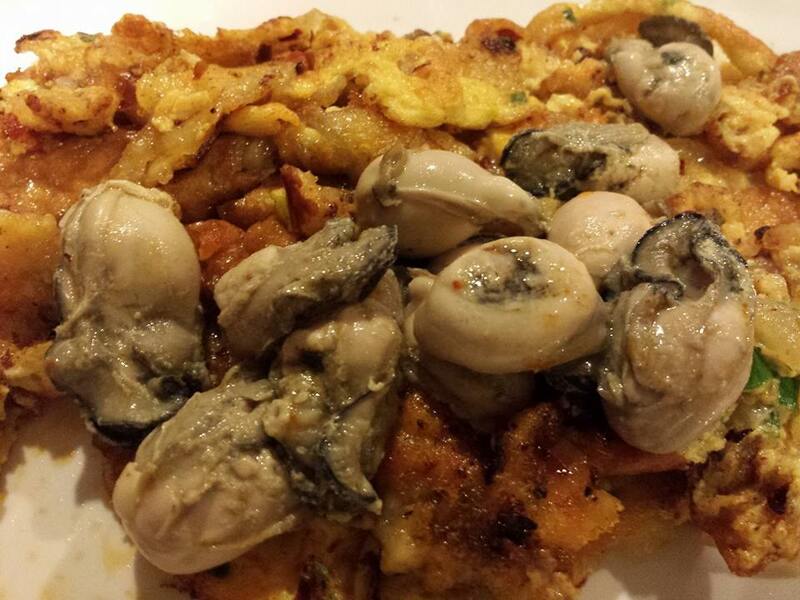 i saw a good internet video a hawker making crispy oyster omelette & also look at some recipes. i mixed 3 heap tablespoon cornflour in a mixing bowl & added 1/3cup tap water for the batter, 1 teaspoon fish sauce & some pepper. i beat 2 eggs with chopped spring onions, 1 teaspoon fish sauce & some pepper. i added 4 tablespoon oil to a non-stick pan on high fire, then drizzle the batter on the hot pan to form the base. i then added the egg on the batter, slightly spilling over the edges. i then pushed the egg batter aside (like in the video) & added in the oysters, making sure the oysters are not overcooked (& still plump & not shrunk). 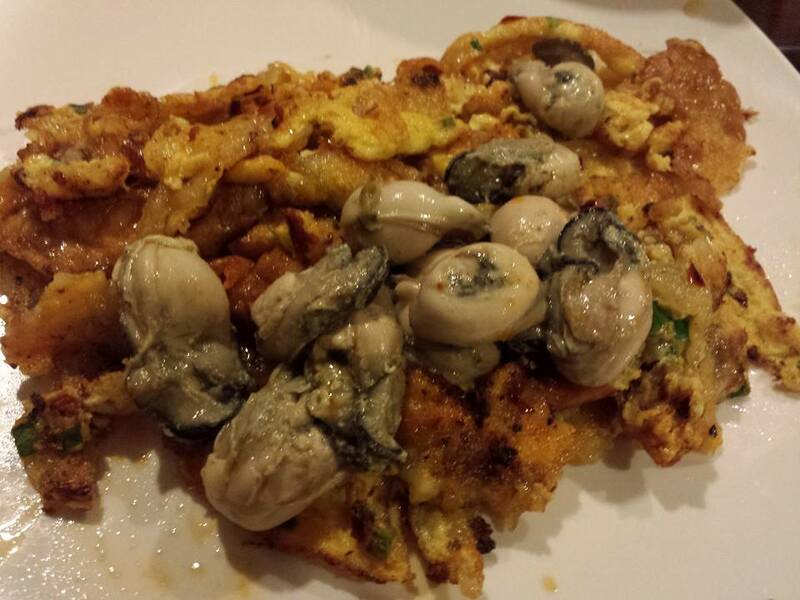 then i covered the oysters with the egg batter & flipped it on a serving plate. voila! it was pretty ok for the first attempt. the egg batter was crispy. 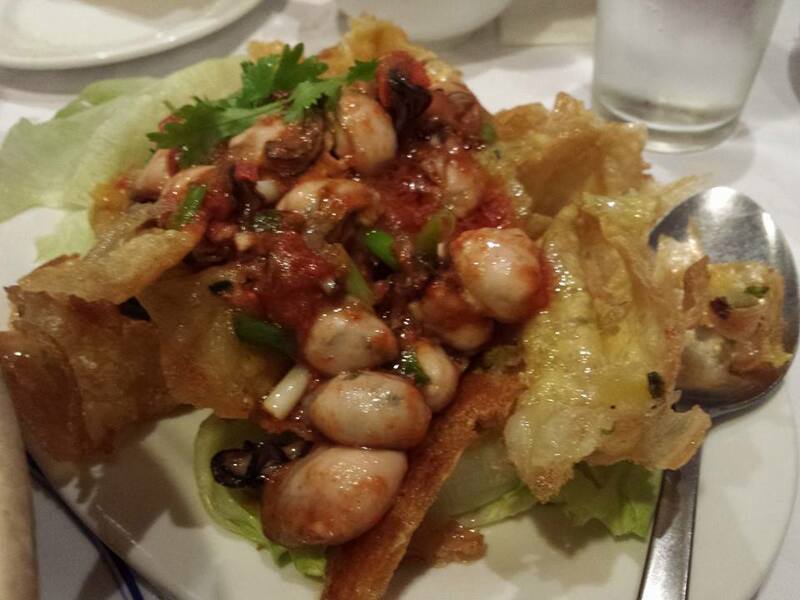 c/w beng thin’s version orh jian (crispy oyster egg) in above photo was like paper thin crisp. This entry was posted in Recipes and tagged beng thin, coriander, cornflour, crispy oyster egg, 蚝烙, 蚝煎, garnish, orh luah, oyster omelette, sweet potato flour. Bookmark the permalink.